They like sunshine; hot or cold they like the sun. I love to watch them as they position themselves to get just the right angle for the best heat. They are not usually “plied” together when it is hot and un-air-conditioned. It is when the heat from the sun is a bit less than adequate to stay the chill off that I get to see them at their closest, the opportunistic gathering of bodies in one small spot that is one of my favorite states to see them. 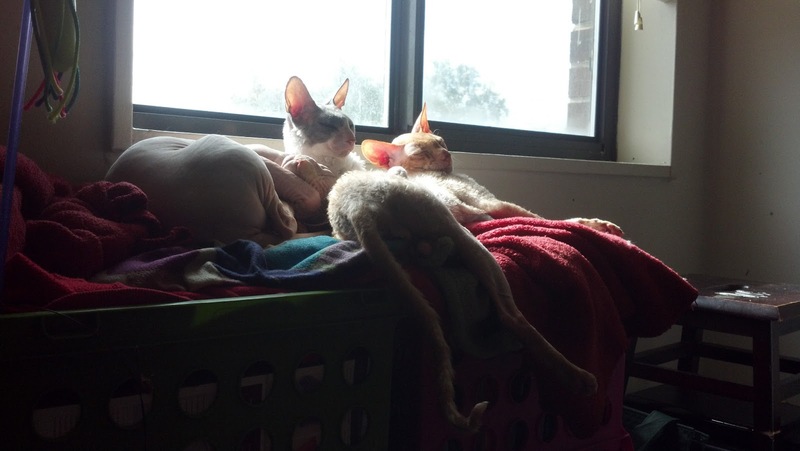 There is only a small spot of sunshine that comes out of this window where I can prop something together for them to sit on. These are crates with books and supplies I’m not using this season. 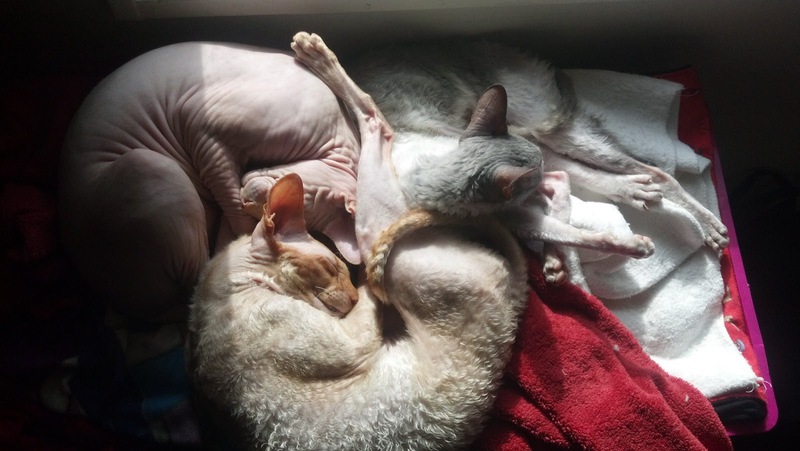 There are three separate spots where they could spread out an each get more of the golden warmth, but the preference is to stick together as one happy family. I guess no one wants to be alone.